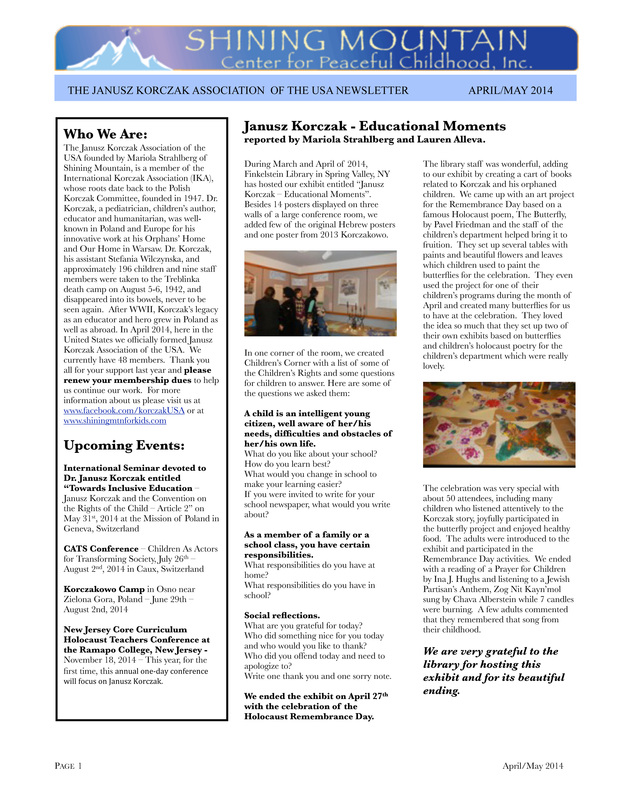 The Spring 2014 newsletter is available to members of the Janusz Korczak Association of the USA and is published in PDF format. Mariola Strahlberg founded the organization as a way to bring like-minded people who want to keep Korczak’s legacy as a champion of the child alive. The newsletter contains interviews and an article on new writings on Korczak; it is also a valuable source of information for professional conferences in the US and worldwide. New members are always welcome! 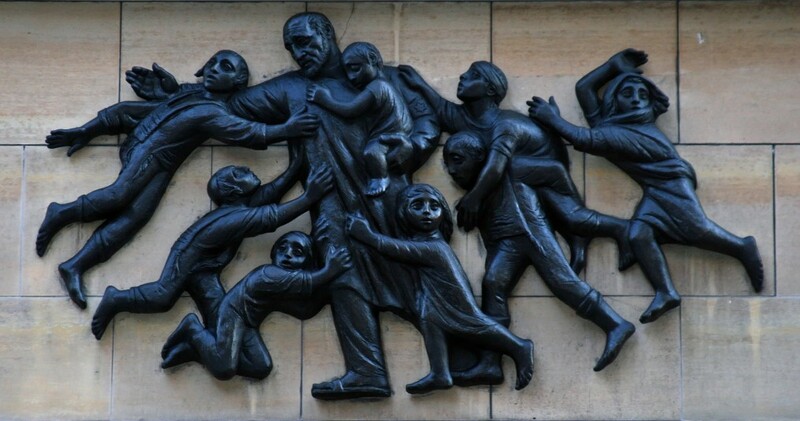 For more information on the Janusz Korczak Association of the USA, us please visit the following pages: http://www.facebook.com/korczakUSA and http://www.shiningmtnforkids.com.